There's something a bit LOLDino about this photo I took yesterday in Crystal Palace Park. 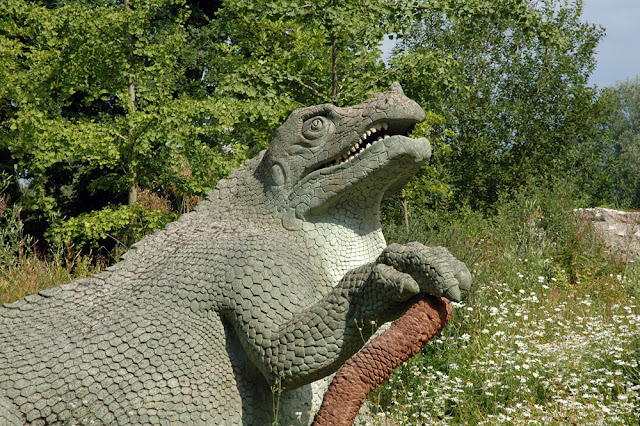 There are loads of dinosaurs in the park and they were all created in 1854, yes 1854!!!! This really is an awesome park. All those ruins from The former Crystal Palace and the Crystal Palace Bowl with it's natural amphitheatre and awesome rusty futuristic looking stage plus speakers. It was home to the great summer garden parties of the 70's where artists such as Pink Floyd, Beach Boys and Lou Reed played. The stage has now changed but the pond in front is still the same. Here's a famous photo of Bob Marley playing the Crystal Palace Bowl in what was to be his last ever UK show. Look at all those fans in the pond! 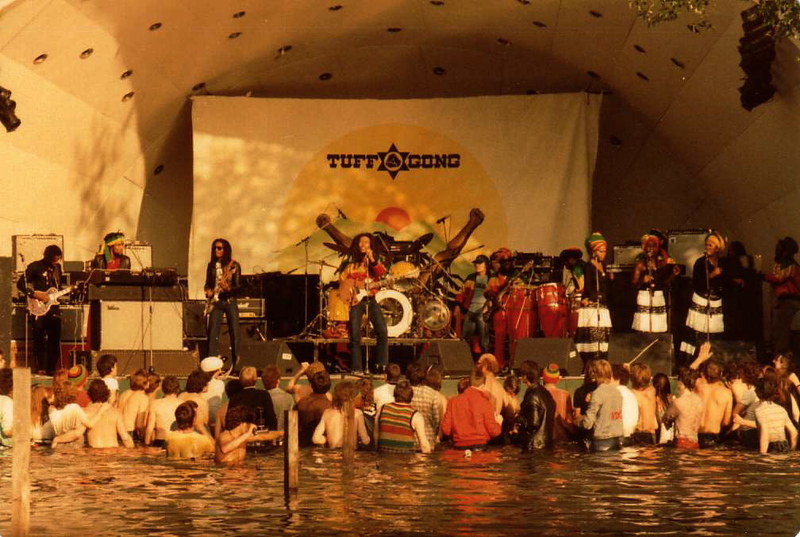 The Floyd show had an inflatable octopus (see here) in the pond in front of the stage and other bands such as Journey added inflatable dinosaurs. Maybe The Flaming Lips should have played here instead of Alexandra Palace this week so we could have seen Wayne Coyne do his hamster impression on the pond. 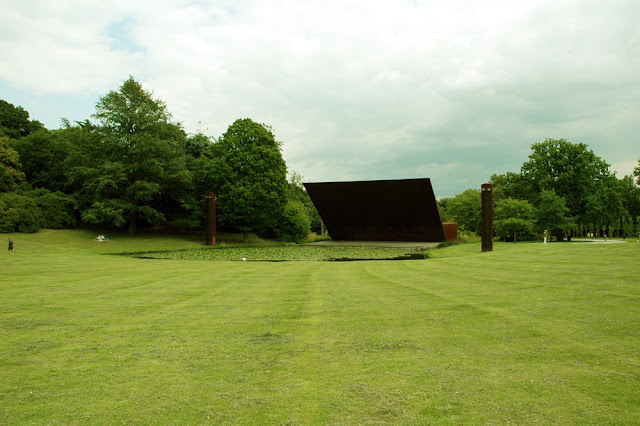 I'm going to write more about the Crystal Palace Bowl and how I think it is such a shame the space isn't really used much any more, maybe I should start a #bringbackthebowl hashtag. Why oh why is this place not hosting loads of concerts? I think the Crystal Palace Bowl needs to have it's time again, there's even an overground station next to the park that could train all the hipsters from East London fast enough for them not to notice they're not in East London any more. This all makes a lot of sense.